Do Target Retirement Funds Automatically “Buy Low, Sell High”? Vanguard’s LifeStrategy and Target Retirement funds use daily cash flows into (or out of) the fund to rebalance the portfolio. Beyond that, further rebalancing only occurs if the fund’s allocation strays outside of a certain target range (which Vanguard does not publish). You can find a bit more info in this interview with Vanguard’s John Ameriks. And, I would not say that it is inherent that the funds-of-funds will automate a “buy low, sell high” process. In periods during which the market exhibits momentum (as opposed to mean reversion), the funds’ daily rebalancing will actually harm performance rather than help it. And the same thing happens if the market goes up steadily for an extended period. That is, the LifeStrategy investor will constantly be selling stocks, only to see them move up further, and he/she will therefore underperform the DIY investor who doesn’t rebalance over the period. But the opposite can happen as well. If a decline turns out to be a steep but short-lived dip, the investor in the LifeStrategy fund will have gotten to buy some shares “on sale” whereas the DIY investor who didn’t rebalance will not have purchased any such “cheap” shares. And if a brief rally occurs during a bear market, the investor in the LifeStrategy fund will have sold some stocks at the temporarily-relatively-high price, whereas the DIY investor who didn’t rebalance will not have done so. In short, during periods in which the market heads relatively steadily in one direction, frequent rebalancing (as you would experience in a LifeStrategy or Target Retirement fund) will generally underperform a strategy that involves less frequent rebalancing. Conversely, during periods in which the market rapidly bounces back and forth, frequent rebalancing will usually outperform a less frequent rebalancing strategy. Is Tax Planning a Good Reason to Delay Social Security? 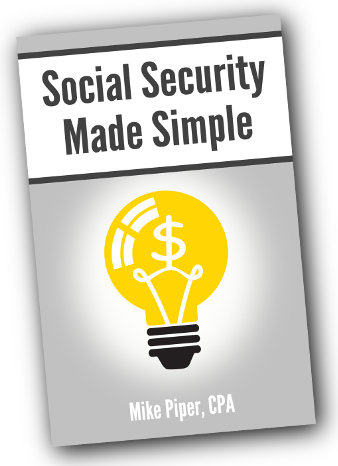 Unfortunately, tax planning with regard to Social Security is a very case-by-case sort of thing. Also unfortunately, a comprehensive analysis tends to be very time-consuming. 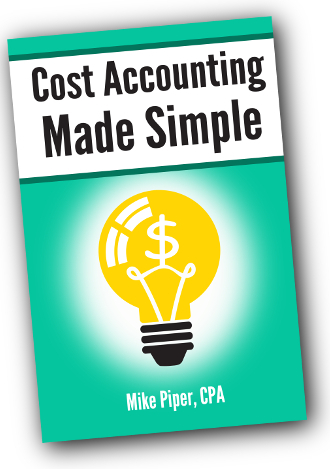 In my opinion, the only way to do it appropriately is to use actual tax planning/preparation software and run through several years of simulations using Strategy A and several years using Strategy B, then compare the results (often in a spreadsheet). When I see people trying to do a DIY spreadsheet-only analyses rather than using tax software, they often end up leaving out something important (e.g., a credit for which they’re eligible in one case, but not in the other — or a tax to which they’re subject in one case but not in the other). As such, I am convinced that this is one of the areas in which working with a financial planner can be most worthwhile. With the above caveats, I would say that tax planning tends to be a point in favor of delaying Social Security, for two reasons. First, each dollar of Social Security income is, at most, 85% taxable. So if a person has the option to, for example, spend down their IRA to delay Social Security and the net result is $100,000 less of IRA distributions over their lifetime but $100,000 more of Social Security benefits, that ends up being a “win” from an after-tax perspective. Second, increasing the portion of one’s income that is made up of Social Security often results in a smaller portion of Social Security being taxable (because only 50% of benefits are included in the “combined income” figure that determines Social Security taxability). a smaller portion of those Social Security dollars being taxable. But the above points don’t always apply. For instance, for the reader who wrote in with the question, it appears that even if he delays benefits and spends down tax-deferred accounts in the meantime, 85% of his benefits will still be taxable. And there are other factors involved as well. Ultimately, the best claiming strategy often depends on whether there are other tax breaks you’re looking to qualify for or other taxes you’re looking to avoid. For instance, for a person who retires prior to age 65 and who will be buying health insurance on the exchange, keeping “household income” very low until Medicare eligibility kicks in may be very desirable, as Affordable Care Act subsidies can be quite large. And that typically means delaying Social Security (at least until 65) while spending primarily from taxable accounts and Roth accounts. Perhaps your friend was talking about the ability to “borrow” from an IRA by using the 60-day rollover provision. With a 60-day rollover, the first financial institution sends the money to you, and as long as you deposit an equal amount of money into an IRA within 60 days from the day you receive the distribution, it will be treated as if the distribution did not occur. The 60-day rollover option exists so that you can move money from one retirement account provider to another. But it can also be used as a sort of short-term “IRA loan” mechanism, because it’s possible to simply deposit the appropriate amount of money back into the same account (rather than into an IRA with a different financial institution). There is, however, one very important point to be aware of: You can only do one such 60-day rollover per year. So if you have executed such a rollover within the last year, you cannot “borrow” from your IRA in this manner, because you would not be able to put the money back into an IRA. (That is, the distribution would simply count as a normal distribution, potentially subject to the 10% penalty.) Similarly, if you do “borrow” from your IRA in this manner, you won’t be able to do so again within the next year, nor would you be able to do a normal 60-day IRA-to-IRA rollover during that period. Rollovers involving an employer-sponsored plan (e.g., from a 401(k) to an IRA or vice versa). Also, the one-per-year limit is no longer one rollover per IRA per year as it used to be, but rather one rollover per year regardless of how many IRAs you have. Late last month, Congress passed (and President Obama signed) the Protecting Americans from Tax Hikes Act (“PATH Act”) of 2015. The Act makes quite a lot of changes (click the previous link to see the full list), but from a personal finance standpoint, the most important thing it did was to make permanent several tax breaks that were expiring in the near future (or already expired in some cases). Another important change is that the American Opportunity Credit is also made permanent. (It was previously scheduled to expire at the end of 2017.) The American Opportunity Credit is a credit of up to $2,500 per year for paying qualified higher education expenses for yourself, your spouse, or your dependent. Similarly, the “enhanced” version of the child tax credit (which is simply a change to the calculation of the child tax credit that increases the amount of credit many taxpayers receive) is now made permanent rather than expiring at the end of 2017. Likewise, the “enhanced” version of the earned income credit (which increases the amount of the earned income credit for married taxpayers and taxpayers with 3 or more children) is now made permanent rather than expiring at the end of 2017. The Act also makes two important changes to 529 accounts. First, the definition of “qualified higher education expenses” for 529 accounts has been expanded to include the cost of computers, related equipment, software, and internet access if such equipment is to be used primarily by the beneficiary during any of the years the beneficiary is enrolled at an eligible educational institution. Second, for 529 ABLE accounts (for disabled individuals), the residency requirement has been eliminated. Previously, a beneficiary was required to use the plan established by his/her state of residence. Again, to be clear, these are just a few of the provisions which I am assuming are most likely to be relevant to a large number of readers. There are many provisions in the Act that I have not mentioned. If you’re interested in perusing the full list, see here. One question business owners frequently ask is which legal structure is right for their business. So which is best for you? Let’s take a quick look. There isn’t necessarily anything wrong with operating your business as a sole proprietorship or partnership, but you need to be aware that you will have unlimited liability for business debts. In other words, if your business is sued for any reason, the plaintiff will be able to come after your personal assets, not just business assets. 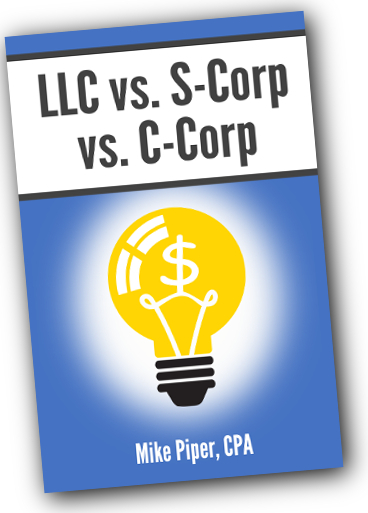 You should, however, be aware that forming an LLC might subject your business to additional state taxes. 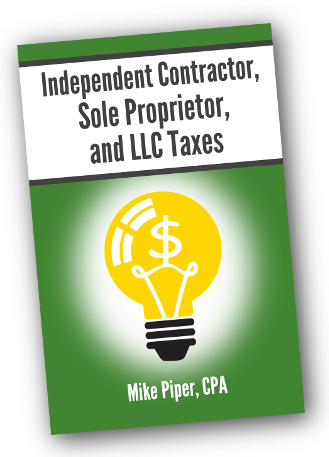 Certain states (California for instance) subject LLCs to “franchise taxes” in addition to a typical income tax. Solo 401(k) Contributions: Employee or Employer? An “employer” contribution, limited to 25% of your net earnings from self-employment (if you are a sole proprietor or LLC taxed as a sole proprietorship) or 25% of your compensation (if you are an owner-employee of an S-corp or LLC taxed as an S-corp). Because pre-tax employer and employee contributions are deducted in the same way, neither one is more tax-efficient than the other. That said, because employee contributions can be Roth or pre-tax, whereas employer contributions can only be pre-tax, if you want to make pre-tax contributions, it often makes sense to make them as employer contributions (to the extent possible), thereby saving your (more flexible) employee contribution space, in case you decide that your further contributions should be Roth rather than pre-tax. 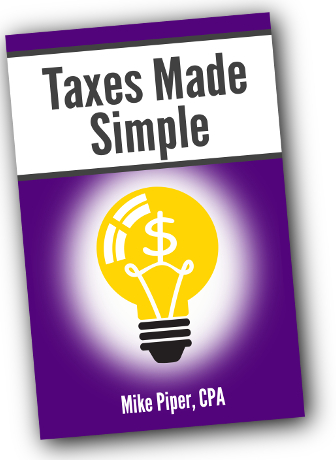 If your business is taxed as an S-corporation, contributions that you make as an employee would reduce the amount of wages that would appear in box 1 on your W-2 — and therefore the amount of wages that show up on your Form 1040. Note that they do not reduce the amounts that show up in boxes 3 and 5 (“Social Security Wages” and “Medicare Wages”). In other words, these contributions reduce your income tax, but they do not reduce your payroll taxes. Employer contributions to the solo 401(k) would show up on line 17 of Form 1120S as “Pension, profit-sharing, etc., plans.” This would reduce the amount of income from the S-corporation that would be passed through to you as the owner, thereby reducing your income tax. But, because this income is not subject to payroll taxes in the first place, these contributions will not reduce your payroll taxes. In other words, for an S-corp owner-employee, employer and employee pre-tax solo 401(k) contributions are equally advantageous (just as they are for a sole proprietor). Though again, by prioritizing employer contributions, you preserve your more flexible employee contribution space, in case you decide you want to make Roth contributions later in the year.